3 ft. 6 ft. 10 ft. 15 ft. 25 ft. The USB 2.0 Type-A Extension Cable from Comprehensive extends the length a USB cable by 10' and supports digital signal transmission rates of up to 480 Mbps. It comes with a standard USB Type-A male interface and a USB Type-A female plug that connects to the cable you want extended. This extension cable is designed with a shielded, twisted-pair construction, which improves the signal transfer. Furthermore, it is backwards compatible with USB 1.0 and 1.1 devices. 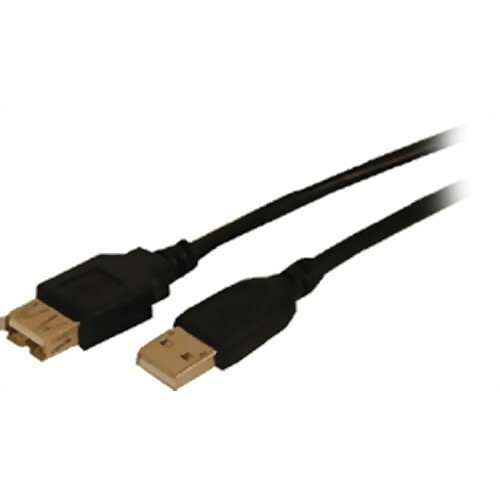 Box Dimensions (LxWxH) 5.5 x 5.0 x 0.5"
USB 2.0 Type-A Extension Cable (10') is rated 5.0 out of 5 by 1.